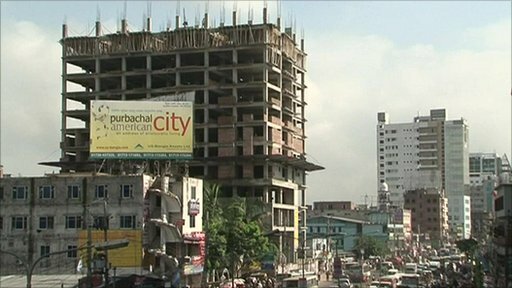 The Bangladeshi capital, Dhaka, is thought to be the world's fastest growing city. It already has a population of 15m, and an extra 400,000 people move there every year. This has resulted in a huge construction boom and accelerating property prices. But there have been a spate of accidents recently. They have highlighted concerns that many of the new buildings may be unsafe, and that the city as a whole is becoming unmanageable.